Whether it's for a smartphone application like Camera, or even part of Project Titan, there are plenty of reasons for Apple to pursue AR. Over the last few years, development of and interest in the virtual reality arena has truly begun heating up, but the same can’t yet be said for its close cousin, augmented reality. The most prominent product in the category to date was the much-maligned—perhaps rightly so—Google Glass, which never really cracked the consumer market. But that doesn’t mean that the interest isn’t still there. 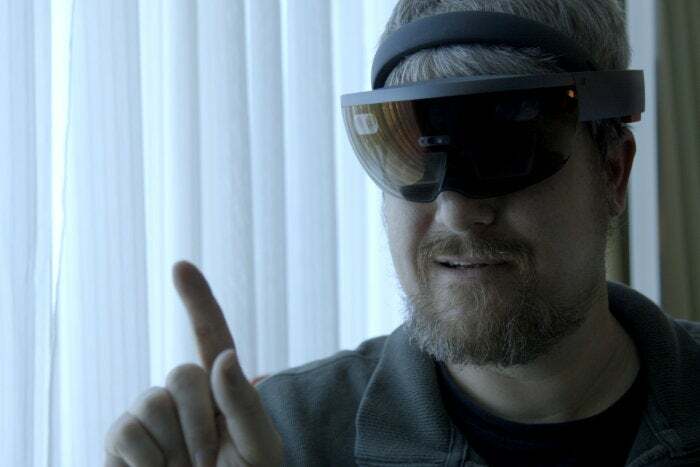 Microsoft has been investigating the mixed reality concept with its HoloLens visor, a device that seems to actually make a compelling argument for the technology, and Snapchat has garnered some attention with its new Spectacles glasses, which feature built-in cameras and integrate with the popular messaging app. And now there are rumors that Apple is throwing its hat glasses into the ring. But is this merely the usual wild speculation or is there fire behind the smoke? Other breadcrumbs include Apple apparently hiring the chief engineer of a firm that’s actively building AR glasses, as well as the company’s acquisition of a number of smaller AR-related enterprises. 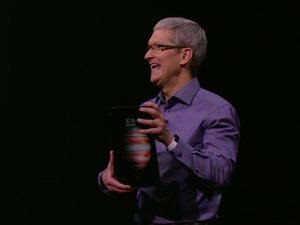 And, if you needed any more concrete evidence that Apple’s bullish on AR, well, look no further than Tim Cook’s rimless frames. Stylish fashion choice or the perfect look for concealing prototype AR glasses? You decide. Looking at Apple’s rumored pipeline, it’s also not hard to see why the company would suddenly be more bullish on developing augmented reality gear. Signs had pointed to Apple’s heavy investment in the automobile space this year, up until a month or two ago when reports began to suggest that project was in the midst of a sharp change in direction that might refocus on building software for cars, including an autonomous driving system, rather than manufacturing an entire vehicle. Unlike the car space, which is full of long-entrenched firms, heavy regulation, and a number of fields in which Apple would have to build expertise from scratch, AR is a logical offshoot of the work the company’s already doing. The upside might be lower, for sure—AR glasses are far less broadly applicable than cars—but Apple hasn’t shied away from smaller markets where it thinks it can make a difference, and it’s certainly less risky than building a car from the ground up. There’s little that’s new about AR devices: displays, sensors, batteries, wireless connections—these are all technologies that Apple has spent plenty of time developing and refining. Moreover, with the Apple Watch and forthcoming AirPods, Cupertino’s already made forays into the wearable space and shown a willingness to explore the possibilities and even to revisit and refine its ideas as the company learns more about how people use those devices. Of course, the $64 million question when it comes to Apple’s augmented reality ambitions is what exactly the company wants to do with the technology. It’s been suggested that AR features will find their way into iOS’s Camera app before any piece of hardware appears, but it’s unclear exactly what such a feature would entail. 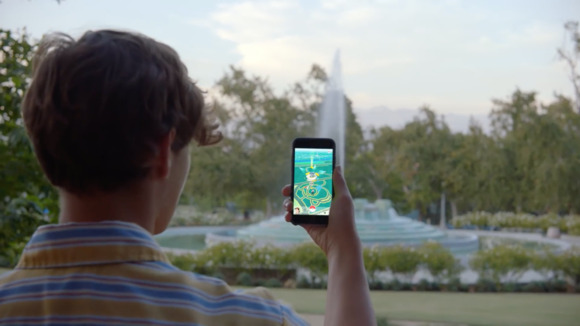 Plenty of companies have been building AR features into iOS apps for years now, the most recent prominent hit being Pokémon Go. Despite the success of that game, I’d argue it’s more fluke than compelling proof-of-concept for augmented reality on a smartphone. Most of the time, people don’t want to run around holding their phones in front of their faces. For example, I remember an early iOS app that offered a feature whereby you could pan your camera around and see local businesses like restaurants—it was interesting, to be sure, but it hardly made a compelling case over simply browsing a list on the phone’s screen. 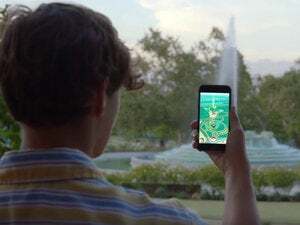 That doesn’t mean AR isn’t full of potential: being able to merge the physical and digital worlds would seem to be a logical jumping off point for the next generation of technology. But it may very well take Apple’s classic combination of hardware and software to show us all why exactly we should care.